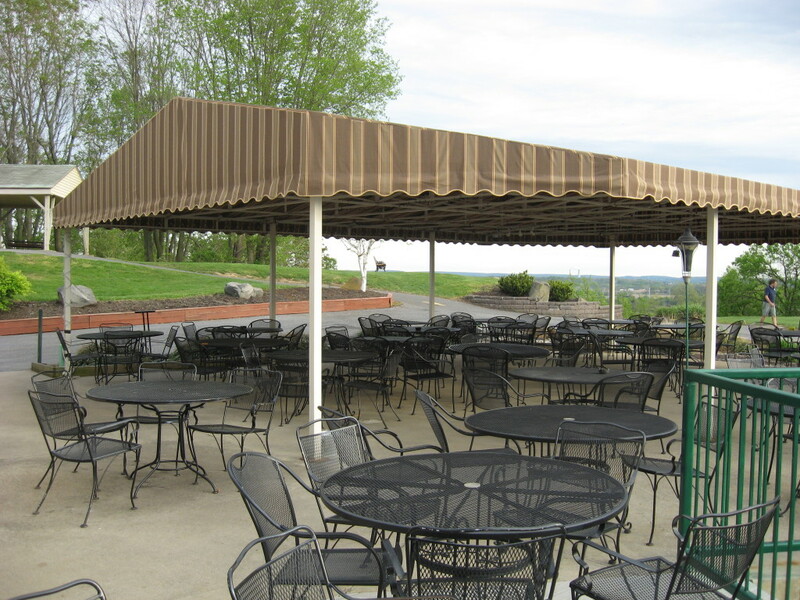 Dining Canopies | Kreider's Canvas Service, Inc. Restaurant owners looking to add usable dining area without the costs associate with building an addition could consider covering their outdoor dining area with a custom dining canopy from Kreiders. 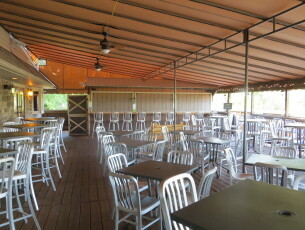 Customers will be able to continue dining outside even during rain and cooler temperatures. 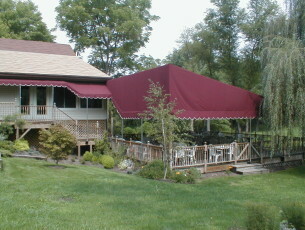 Over the summer months clear roll down sides can easily be lowered if it becomes windy or to cool. Roll down shades are also available for when the sun is lower in the sky. Completely enclose with clear panels for the winter months then remove them for the summer. Ceiling fans or heat can be added as needed. 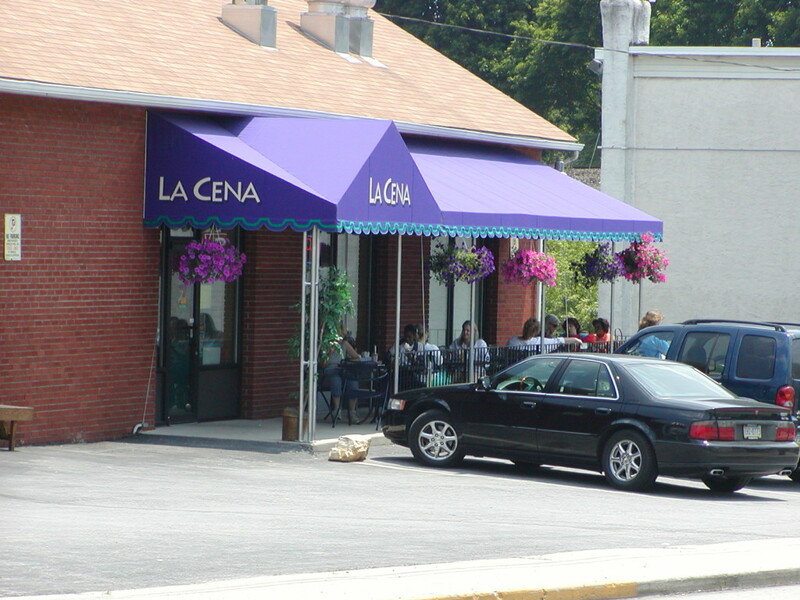 Add your logo or custom graphics to your canopy for added pop visibility. Kreider’s recently provided new covers and curtains for three dining canopies on the White Rose Bar and Grill in York PA. Use your outdoor patio or deck area year round by installing commercial grade dining canopies with a removable clear drop curtain enclosure. 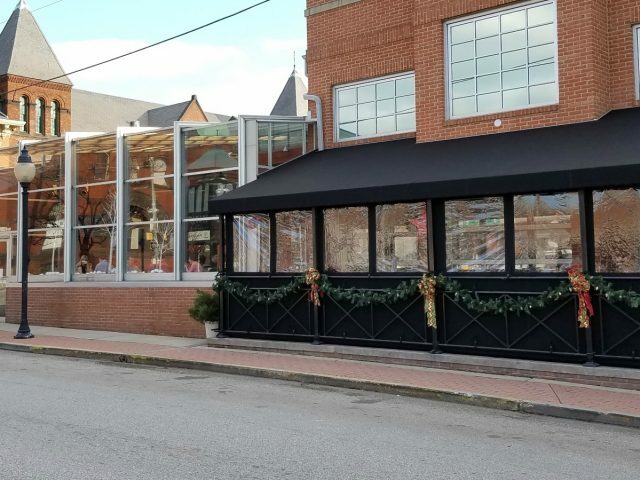 Click here to view the dining canopy enclosures at White Rose Bar and Grille in Google Street View! Increase revenues by covering your deck area. Customers can be seated rain or shine outside! 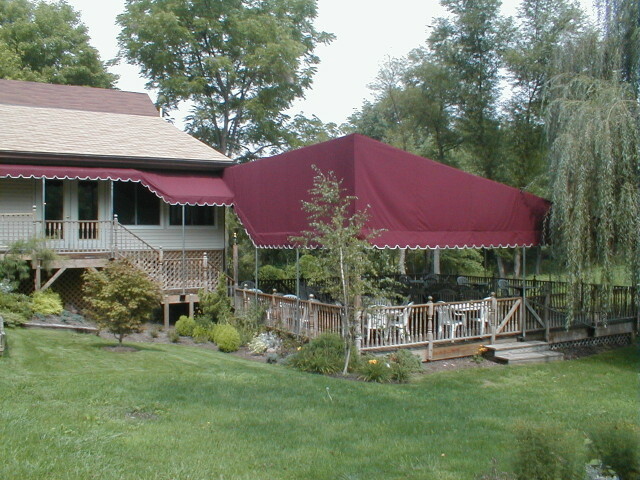 The awnings are beautiful. We’ve had so many compliments.